Paul Malachowski was commissioned a 2d Lt through the Air Force ROTC program on May 10, 1992, and went on active duty beginning January 15, 1993. His fist assignment was as a Test Engineer with the 46th Guidance Test Squadron at Holloman AFB, New Mexico, from January 1993 to April 1994, followed by Undergraduate Navigator Training from April 1994 to June 1995. Lt Malachowski attended F-15E Strike Eagle Weapon Systems Officer (WSO) training with the 333rd Fighter Squadron at Seymour Johnson AFB, North Carolina, from September 1995 to May 1996, and then served as an F-15E WSO with the 492nd Fighter Squadron at RAF Lakenheath, England, from May 1996 to June 1999. During this time, Capt Malachowski flew missions in support of Operation Northern Watch in Iraq and during Operation Allied Force in Kosovo. He attended WSO Instructor Training with the 4th Training Squadron at Seymour Johnson AFB from June to December 1999, and then served as an F-15E Instructor WSO with the 334th Fighter Squadron at Seymour Johnson from December 1999 to October 2002. 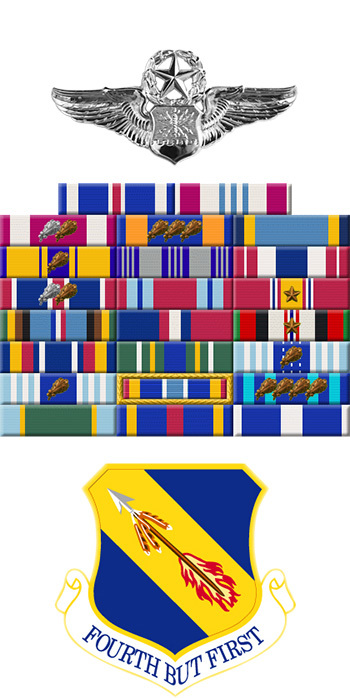 Maj Malachowski next served as Weapons Officer and as an F-15E Instructor WSO with the 335th Fighter Squadron at Seymour Johnson from October to December 2002, followed by service as Chief of Strategy Guidance with the 607th Combat Plans Squadron at Osan AB, South Korea, from December 2002 to July 2004. His next assignment was as Assistant Director of Operations and as an F-15E WSO and Flight Examiner with the 492nd Fighter Squadron at RAF Lakenheath from July 2004 to November 2005, and then as Assistant Director of Operations with the 59th Test and Evaluation Squadron at Nellis AFB, Nevada, from November 2005 to June 2008. Lt Col Malachowski served as Deputy Chief of the Electronic Warfare Division with Headquarters U.S. Air Force in the Pentagon from June 2008 to September 2010, followed by service as Combat Systems Officer and F-15E WSO with the 4th Training Squadron at Seymour Johnson AFB from September to December 2010. His final assignment was as Chief of Wing Safety for the 4th Fighter Wing at Seymour Johnson AFB from September 2010 until his retirement from the Air Force on May 1, 2013. 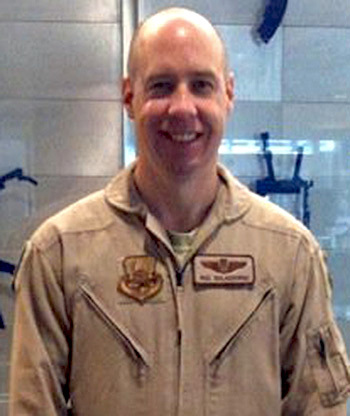 During this time, Lt Col Malachowski flew combat missions in Afghanistan from July to November 2011. Captain Paul G. Malachowski distinguished himself by extraordinary achievement while participating in aerial flight as an F-15E Instructor Weapon Systems Officer, 494th Expeditionary Fighter Squadron, 31st Expeditionary Operations Group, 31st Expeditionary Wing, Operation ALLIED FORCE, Aviano Air Base, Italy, on 24 March 1999. On that date, Captain Malachowski flew as Corvette 11, lead aircraft of the first strike package in the air campaign against the Former Federal Republic of Yugoslavia. His four-ship was tasked against a vital air defense command and control node on the coast of Montenegro. Captain Malachowski expertly navigated through several naval and land based surface-to-air missile engagement zones and encountered anti-aircraft artillery in the target area. Despite the threat, he flawlessly employed multiple two-thousand pound precision guided weapons against his exact impact point, the first weapons of the air campaign on target and on time. Following his attack, the number two aircraft in the formation was unable to employ his weapons due to late target acquisition. Captain Malachowski orchestrated a successful reattack in an extremely hazardous combat environment. His courage and outstanding airmanship, displayed under the direct fire of a determined enemy, resulted in a highly successful attack and ensured zero package losses on the first night of an extremely high risk mission. The professional competence, aerial skill, and devotion to duty displayed by Captain Malachowski reflect great credit upon himself and the United States Air Force.